When you need detailed three dimensional or two dimensional illustrations of your ideas, come to Gen-Tek Computer Graphics, LLC. We will take your specifications and generate clear and demonstrative presentations that are available in a variety of formats. From poster-sized printing and scanning to video capture and 3D animation, we are equipped and highly experienced to provide superior quality visual products. Below are examples of some of our successful presentations using computer applications to accomplish the goal of displaying an enormous amount of data in the most comprehensive way. This project involved a one story, steel superstructure resting on concrete piers and walls. The substructure entailed complex concrete pits and ground slabs with embedded steel and equipment for the service of railroad trains and their components. The total building area was equal to six football fields in size. There were five hundred sixty five different concrete placements extending over a nineteen-month period. Gen-Tek demonstrated the As Planned and As Built chronological animated sequence of concrete placements over the life of the project. The exhibit was to be presented at trial time using a personal computer and an overhead projector, for viewing by a large audience. Programs were developed to control the enormous amount of data for each of the concrete placements including the date, color and location. Concrete placements were color-coded to depict the six areas that were scheduled. The “As Planned” shows a logical sequence of placements starting from one end of the site and progressing to the other. The “As Built” presentation shows the out-of-sequence placements, displaying them in white at the date they were scheduled to be placed, when the actual placement date occurred it was changed to the normal area color code. The “As Built” sequence took approximately three minutes of computer time to run. It simultaneously illustrated the concrete placements, the out-of-sequence placements and the irregular construction sequence. It also displayed an incremental graph showing the accumulative total of cubic yards of concrete placed. Gen-Tek was hired by Consolidated Edison of New York to supply computer-aided design (CAD) services to their Steam Engineering Division. Con Edison supplies steam services to a large customer base in Manhattan, New York City. Steam services are supplied by means of underground piping running under the streets of Manhattan. Scan 550 paper drawings into raster format, using MicroStation (a CAD program); trace to single line vector based files. Gen-Tek developed many programs to place the vectors at the correct level, color and line weight. Orienting all the steam piping into their correct physical location overlaying New York City, Manhattan Street Map. The original steam drawings were never before overlaid in this manner which exposed redundant information that had to be cleaned up and corrected, especially where one plate occupied the same street corner as other steam plates. The 550 steam plate files eventually occupied nine MicroStation files that were used as reference files. Software programs developed by Gen-Tek were released to Con Edison to facilitate future file maintenance by Con Edison personnel. Gen-Tek has been assisting the legal community since 1995 in the research and development of case material, demonstrating for the expert witness and attorneys their opinion and position on the case. Gen-tek has offered their services pro bono to the New York City Borough of Queens District Attorney's office in the development of a very high profile case of Shaken Baby. The three-minute animation was developed with the medical assistance of Dr. Jacqueline A. Lee, Deputy Chief, City Medical Examiner of Queens General Hospital and Dr. Jonathan L. Arden, First Deputy Chief Medical Examiner of Kings County Hospital. The animation was created for Ms. Lucinda C. Suarez, Deputy Chief Special Victims Bureau of the District Attorney’s Office Queens County. The animation depicts the trauma that occurs to an infant’s brain, optic nerve and bridging veins when he or she is violently shaken. It is generic enough to be used for any Shaken Baby Syndrome case and also as a medical and law enforcement training guide. The animation on Shaken Baby Syndrome is used in courtrooms and medical facilities throughout the United States. The power of visually demonstrating situations through animation and other digital renderings can be seen in courtrooms and the workplace. 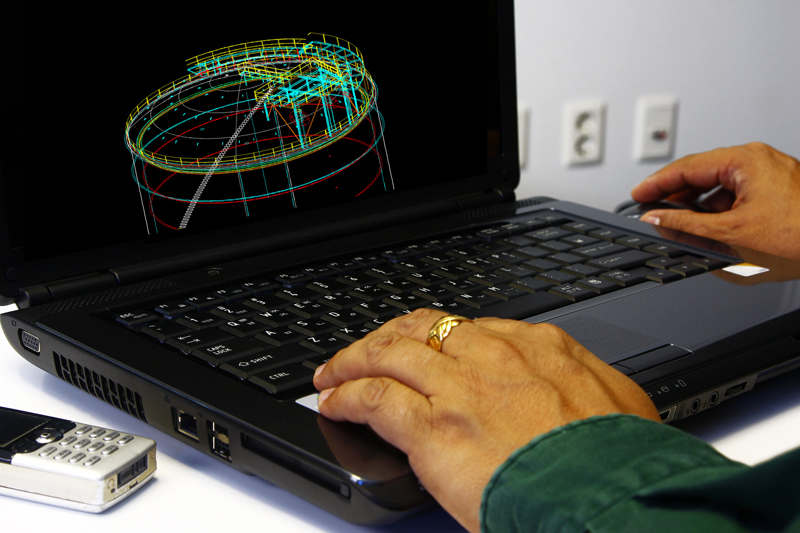 Our work can help reveal certain truths to a series of events or create data-based engineering drawings. 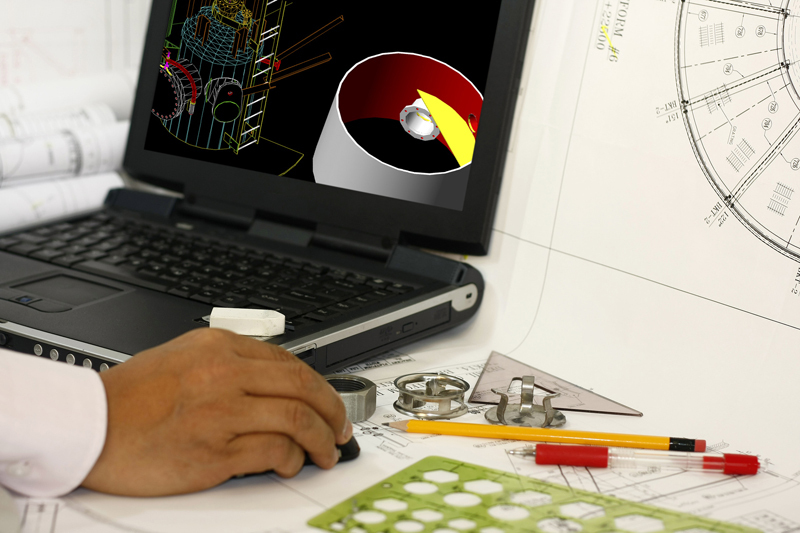 When you need accurate, illustrative and clear computer-aided design, make sure you contact us first. In the meantime, please browse our CAD gallery to view past work we have completed for our clients. Copyright © Gen-Tek Computer Graphics, LLC, 2017. All rights reserved.